When going off-roading or simply driving through a rugged terrain, the underside of our vehicles are at most danger because this is the part that is exposed to the sharp rocks. That being said, it becomes apparent how additions such as rock sliders can be crucial, especially for going over tall obstacles. With them, you would be able to hit a rough terrain without having to worry about a rock punching a hole on the underside of your car. Not only that, but because they are solidly fixed to your car, they can improve your vehicle’s overall structure. Rock sliders are usually made from high quality steel that is cut to match the underside of your vehicle. A rock slider stretches all the way from the back of the front wheel and ends at the front of the rear wheel. They are either attached to the vehicle by bolts or are welded directly to the form. Welding is obviously the stronger option, but since most rock sliders can be self installed, bolts are a reliable option as well. Depending on the model, you can find rock sliders for sale with or without a step. The difference is that step rock sliders not only provide protection from underneath, but also for the sides which is a great bonus. When it comes to improving the aesthetics of your vehicle, there is a large variety of options available, among which you can find many different designs that can make your car give off a more ferocious look which will make it appear a lot cooler. 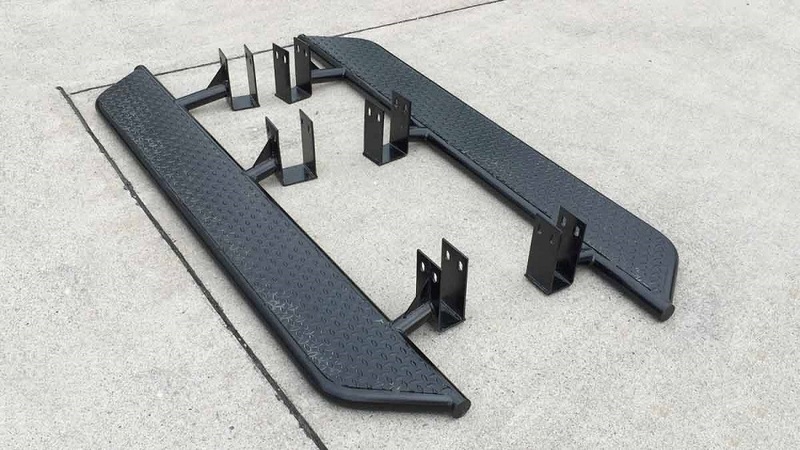 Luckily, depending on the vehicle you have, manufacturers have made sure you can find rock sliders for sale that are specifically made for your model. The step model sliders not only shield your vehicle from debris from both sides, but also shield your car from mud when driving over puddles preventing it from spraying your car. To sum it all up, rock sliders, much like many of the other add on accessories for off road vehicles, are there to add extra protection to your car. They improve and strengthen your vehicle in points where it can be under great risk for breaking or scratching. So if you are on the fence about whether or not you should install a rock slider, consider first how often you go off-roading. Installing quality rock sliders will protect your ride and help you save money in the long run.